Learn to make fabulous jewelry out of fabric and felt. 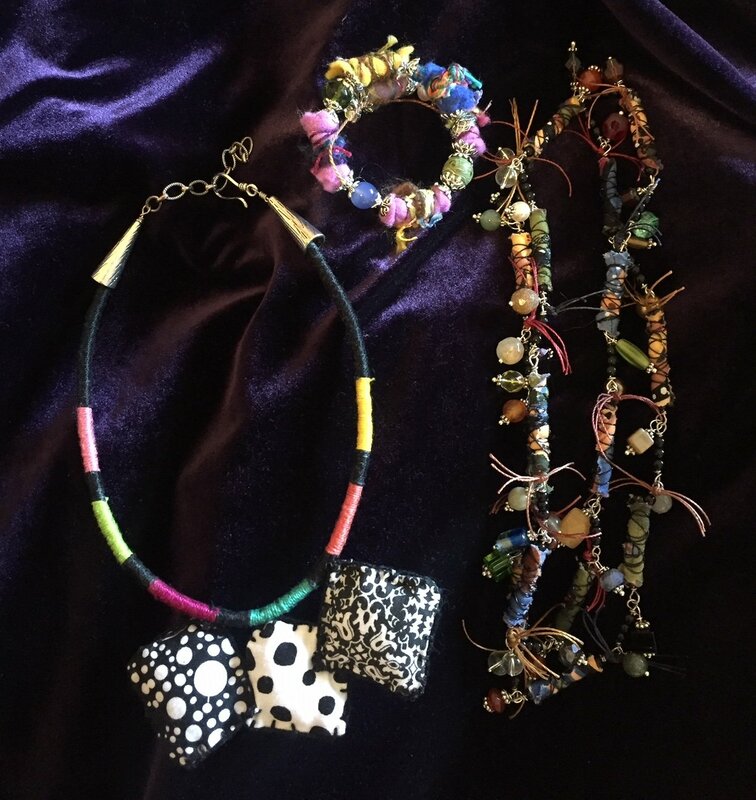 Create necklaces, bracelets, and/or earrings that are funky, ethnic, or more traditional. Fabric jewelry is always original, light weight to wear, and another wonderful way to use up your scraps! Lois has taught jewelry making for over 30 years and will help you with each step. Come learn a new skill and wear your beautiful new jewelry out of the shop!